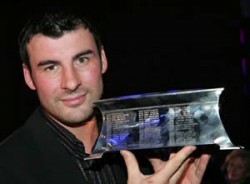 World champions Joe Calzaghe and Zara Phillips received the acclaim of Britain’s sports media when they were voted Sportsman and Sportswoman of the Year for 2006. Europe’s triumphant Ryder Cup team took the Team of the Year award in the annual Sports Journalists’ Association poll of sports writers, photographers and broadcasters. 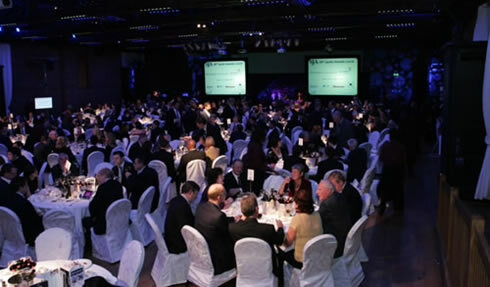 In front of an audience of nearly 400 personalities from the worlds of sport, journalism, television and politics at a celebration SJA British Sports Awards lunch held at The Brewery in London on December 13, Calzaghe became the seventh boxer to win the prestigious award, the oldest of its kind in Britain, dating back to 1949. The 34-year-old Welshman’s award was less of a long-service medal, though, and more in recognition of a tremendous performance earlier in 2006 when he extended his hold on the super middleweight world title to nine years and 19 defences and produced the fight of the year, a battering of the previously unbeaten American, Jeff Lacy. Sugar Ray Leonard, one of Calzaghe’s childhood heroes, described it as one of the best performances he had ever seen. Calzaghe is planning a 20th world title defence for 2007; boxing legend Joe Louis holds the record, at 25. Runner-up was the new British tennis No1, Andrew Murray, with another boxer, world light-welterweight champion Ricky Hatton, third. Phillips, the BBC Sports Personality of the Year, topped the women’s poll after adding the individual three-day event world title to her European crown with a stunning display on her horse, Toytown. In the SJA polling, she was followed home by gymnastics world champion Beth Tweddle and world road cycling No.1 Nicole Cooke. Phillips, 25, the Queen’s grand-daughter, had claimed individual gold on her horse Toytown at the World Equestrian Games in Germany and also helped Great Britain secure a team silver. She is now rated among Britain’s best Olympic medal hopes for not only 2008, but also the London Games in 2012. Phillips’s mother, Princess Anne, won the SJA’s Sportswoman of the Year Award in 1971, the year that she won the European three-day event title. 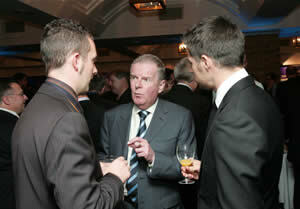 The sports journalists made a number of additional awards. Tweddle and Northern Ireland’s World Cup-winning single sculler Alan Campbell were given Outstanding Performance awards, while Spurs winger Aaron Lennon was named Best International Newcomer following his England debut. From the world of horse racing there were awards for National Hunt trainer Martin Pipe, who retired after saddling more than 4,000 winners, and for Marcus Tregoning, who trained Sir Percy to win the Epsom Derby. Disability sport was recognised in the presentation to wheelchair racer David Weir. UK Sport, who sponsor the event, gave their annual award to badminton’s mixed doubles world champions Gail Emms and Nathan Robertson,while SJA president Michael Parkinson chose Welsh cyclist Nicole Cooke to receive his President’s Award. The SJA Committee would like to offer a vote of thanks to David Welch, the chairman of the awards sub-committee, and to Petta Naylor and Sandra Phillips, of Start2Finish Event Management, for their great efforts in preparing this year’s event. We would also like to thank all SJA members who voted this year, which had almost double the number of ballots cast over previous years following the introduction of online voting.